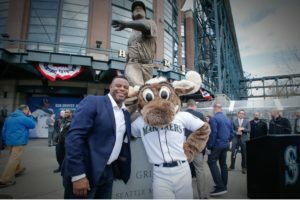 Over the past 4 months, Lou Cella at Timeless Creations along with Patten Monument, have been working on a statue project for the MLB team Seattle Mariners, a tribute to Ken Griffey Jr. Today all the efforts made by Patten Monument and Timeless Creations have come to fruition, the statueis being unveiled. 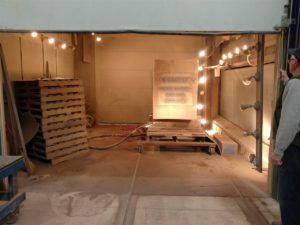 Below is a step by step process of the statue base, from Quarry to Installation. 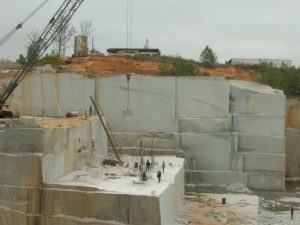 The granite base was quarried out of Alberton, Georgia. 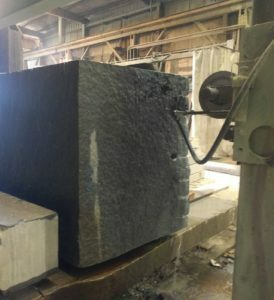 The raw block is then taken to the quarries fabrication facilities and cut down to the desired size. 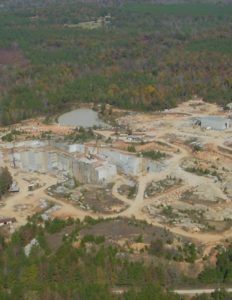 Blocks of granite are generally cut down using large diamond coated saw blades or diamond wire saws. Often blocks are then polished to reach their final surface texture. On the block used for this base, polish was unnecessary as we are using a smooth but unpolished surface on the block. Following the fabrication in Georgia, the block is sent by truck to our facilities in Comstock Park, MI. Once the block arrived here it was unloaded and inspected for flaws and inconsistencies. 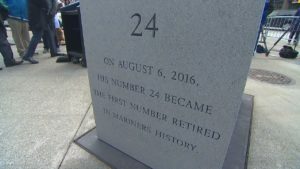 Around the time of the arrival our layout department prepares the lettering and wording specified by the Mariners cut into a rubber stencil. The stencil is applied to the four sides of the base and the letters are removed to expose the raw stone. 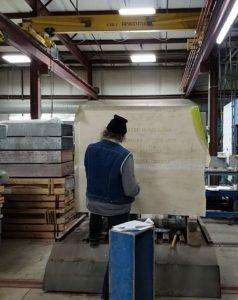 The block is moved into our sandblasting room, where it is shot with abrasive particles that erode the exposed granite (letters) carving into the stone a permanent tribute. After sandblasting all four sides the rubber stencil is removed and the block is cleaned. 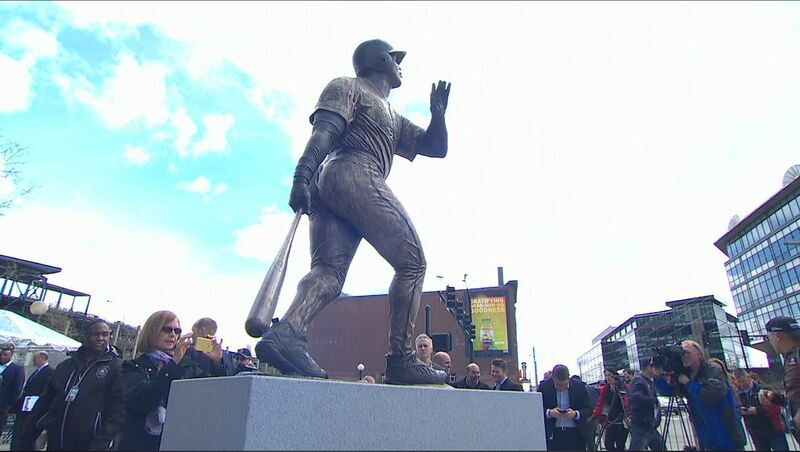 We inspect the work and prepare the block for the test fitting of the statue. Everything fit correctly and the block and statue are ready to be shipped to Seattle. 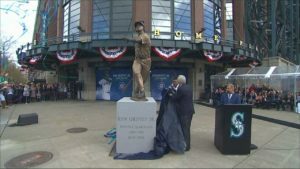 The statue was publicly unveiled Thursday April 13th in front of hundreds of Mariners and Griffey Jr. Fans. 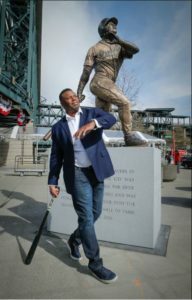 Ken Griffey Jr. and family were on hand for the unveiling. 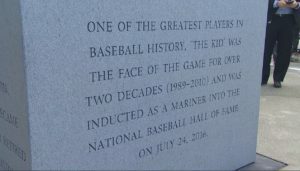 Patten Monument is proud to have worked on this project, to continue our passion in permanent memorialization.